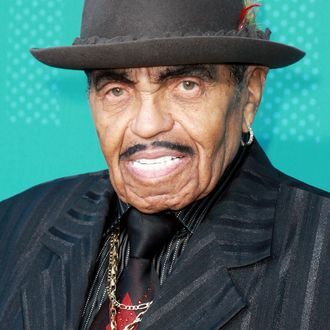 Joe Jackson, the Jackson family patriarch, has died at 89, TMZ reports. He had reportedly battled cancer and was hospitalized in June. According to TMZ, he died on Wednesday in Los Angeles surrounded by his wife, Katherine, and some of his children and grandchildren. Jackson infamously managed his son Michael Jackson during his early career, as well as Michael’s brothers – Jackie, Jermaine, Marlon, Michael, and Tito – as part of the Jackson 5, as well as Janet and her sisters Rebbie and La Toya separately. Jermaine Jackson had recently confirmed his father’s poor health. In 2002, the Rock and Roll Hall of Fame named Joe Jackson the Best Entertainment Manager of All Time.